To buy a brand new car is the dream of every person. But not the dream of all comes true. However, some people buy new, some buy used cars according to their budget. Whether it is a new or a used car, one thing is must to do with it. Must check and balance the maintenance of the engine, which not everyone does. That’s why the engine performance lags. If you stuck in a position where your VW Lupo diesel engine stop working, welcome to Engines for Sale. We deal in all types of reconditioned and rebuild VW Lupo diesel engines for sale in UK. 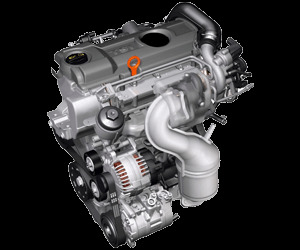 Engines4sale.co.uk is the best reconditioned VW diesel engine selling platform in UK providing best working and efficient performing VW Lupo engines. We feel proud because our engine repairing and rebuilding staff is vigilant and know how to make a rough and tough engine just like new. We also guarantee that al the faulty parts in an engine are replaced with the genuine units to ensure better engine efficiency like a new VW Lupo diesel engine. Our prices for reconditioned VW Lupo engines are the cheapest of all. There is nothing more than frustration that your car engine fails or stop working. It is just like you have stopped breathing because the car is necessary to run the daily routine. Don’t worry if you are the victim of this worst situation. Engines4sale.co.uk is always there to welcome you. Simply entre your VRN and search for your VW Lupo engine. We are always available with ready to use reconditioned and used VW Lupo diesel engine stock to save your time. Not only this, we also save your money. 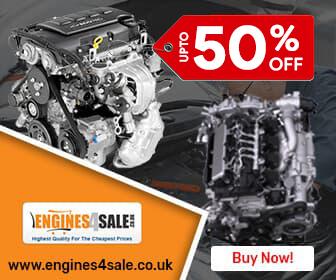 Grab the best chance to get massive discount up to 35% on all types of reconditioned VW Lupo engine available at Engines for Sale. Engine fitting is an art. If you have a top class powerful engine for any of your vehicle, but it’s fitting is not properly done, believe me you are in a deep trouble. Here at Engines 4 Sale, we are proud to be the best reconditioned VW Lupo diesel engine supply and fitting service providers in UK. Our VW Lupo diesel engine mechanics are professionals and they are working for more than a decade in the auto industry. We deliver your vehicle after engine fitting in short possible time. Not only this, we also offer fastest VW Lupo diesel engines delivery service on your addressed all across the UK. Buy remanufactured or rebuild VW Lupo diesel engines from Engines for Sale (engines4sale.co.uk) and stay happy. We always develop a friendly relation with our customers and treat them as family of www.engines4sale.co.uk. That’s why we also offer a free standard warranty from 6 to 24 months on the sale of all recon VW Lupo diesel engines.